When in Barcelona, make sure you visit the works of Antoni Gaudi, one of the foremost architects of the Modernista style (Art Nouveau). His unique and avante-garde works have become icons of Barcelona, many of which are inscribed in the UNESCO World Heritage List under Works of Antoni Gaudi. 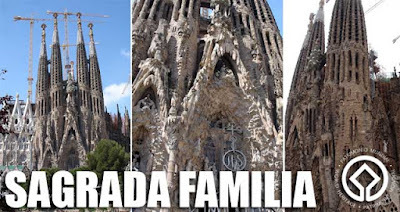 Foremost of these structures is the Temple Expiatori de la Sagrada Família, the unfinished church we all know as Sagrada Familia, one of Spain's most popular attractions. Construction for the church began in 1882 and continues up to today. It is scheduled for completion in 2026, a century after Gaudi's tragic death. Gaudi had worked on the project for 40 years until his death. When asked why the construction was taking so long, he was said to have remarked, "My client is not in a hurry." Gaudí had intended the church to be the "last great sanctuary of Christendom." There is a chapel at the back which you can visit if you want a glimpse of the interior. But if you want to take the elevator up the towers (waiting time can be over an hour) or visit the museum in the crypt of the church where Gaudi is buried, entrance fee is 8€, an amount which goes to the construction of the church. Palau Güell is a town mansion he designed for industrialist Eusebi Güell. At the moment, it's partially open to the public due to restoration, with limited access. 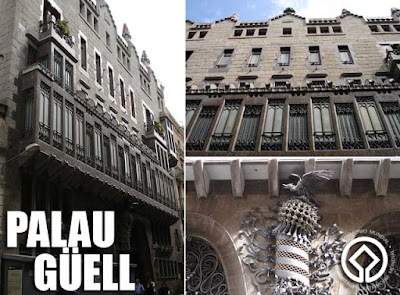 I saw the outside of this building while touring La Rambla. Casa Batlló is a building redesigned by Gaudi for the Batlló family. 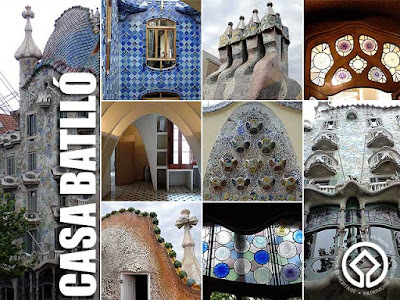 Also know as Casa dels ossos (House of Bones) because many parts resemble skeletal parts, this colorful home is remarkable and very representative of Gaudi's works. You need to pay 16,50€ to be able to enter but it's very much worth it. Walking around its different rooms, the courtyard and rooftop made me realize the brilliance of Gaudi's mind. His creativity was indeed ahead of his time. 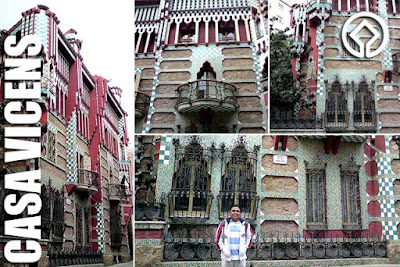 Casa Vicens, a home designed by Gaudi for industrialist Manuel Vicens, was his first important work. Since it is private property, visitors can only marvel at its exterior. In fact, the property is for sale. And you can own this World Heritage Site for 30 million euros! Casa Mila is more popularly known as La Pedrera because it resembles a quarry. Gaudi designed this building-home for the couple Rosario Segimon and Pere Milà. The building is now owned by Caixa Catalunya. They charge an 8€ entrance fee to visit the interior and wonderful rooftop. 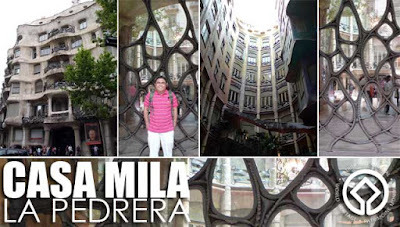 Since it was raining when I visited La Pedrera, I had to forgo going up to the roof. 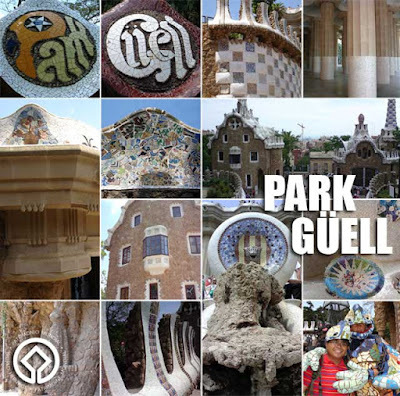 Finally, another icon of Barcelona is Park Güell built on top of Carmel Hill. 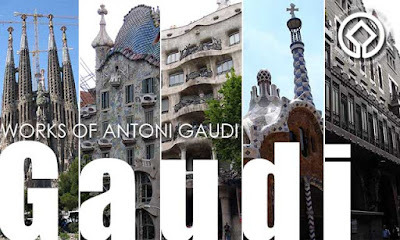 This is a Gaudi work which you must visit as well! The park was supposed to be part of a commercial housing project of Eusebi Güell that did not take off. It was eventually purchased by the municipal government and converted into a park. Many of the park elements are characterized by multi-colored tile mosaics. Entrance to the Park Güell is free. And for those who had been watching America's Next Top Model, they did a fashion runway show there in one episode.